Shimla: The State Government has decided that the Himachal Pradesh State Electricity Board Ltd would Purchase electricity produced by the small power projects upto 25 MW capacity in order to help the power producers of these projects and attract more investment in power sector. 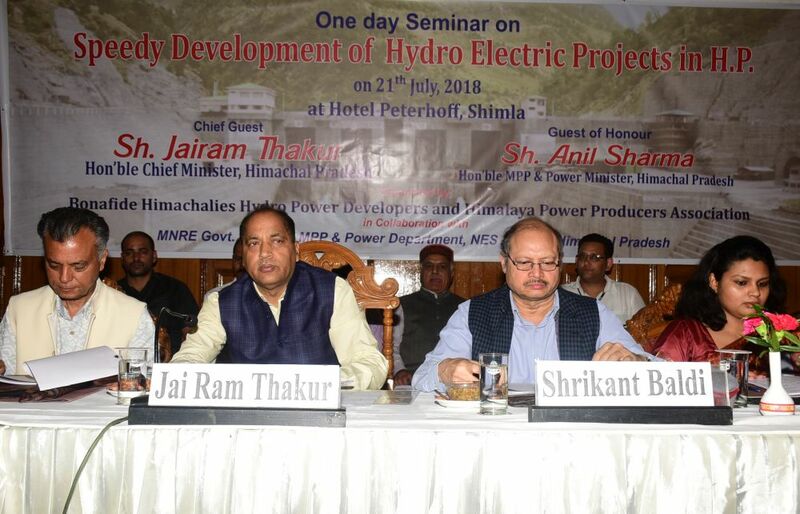 Chief Minister Jai Ram Thakur in a seminar on “Speedy Development of Hydro Electric Projects in Himachal Pradesh” organised by Bonafide Himachalis Hydro Power Developers and Himalaya Power Producers Association in collaboration with MNRE, Government of India and MPP & Power Department, NES, Government of Himachal Pradesh today, said the State has identified potential of over 27000 MW which once fully harnessed have the potential to transform the economy of the State. He said that till date only 10547 MW potential stands harnessed. The State Government has set a target to harness about 182 MW potential during the current year by active participation of private and public sectors, for which the Government was providing several incentives to the power producers so that they can construct hydro power projects in the State with ease, the CM further added. 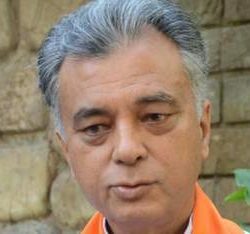 Thakur said the power producers would be independent to sell the electricity generated by them to other interested buyers. He said that a committee would be constituted under the chairmanship of Power Minister to look into the issues raised by the power producers of the State. He said that efforts would be made to simplify procedures for according clearances for setting up of power projects. The Chief Minister said that State Government has made necessary amendments in the Power Policy so as to make it investors friendly. He said that the State government was according speedy forest clearances for the construction of power projects in the State. This would save the power producers from un-necessary delays in the construction of power projects. He said that during the present tenure of the State Government, some major initiatives have been taken for the welfare of the investors both in power and industrial sectors. He said that about 3.34 lakh MW power has been generated in the country which was very less as compared to China where 16.74 lakh MW power has been generated. This shows that still lot more needed to be done in the power sector to fully harness the potential in the country as well as the State. MPP and Power Minister Anil Sharma said that power and tourism sector has immense potential both for making the State economically self-sufficient and providing employment opportunities to the youth of the State. The State Government was committed to rejuvenate the power sector for which some initiatives have already been taken by the State government which have been even appreciated by the opposition leaders. He said that the Power Policy has been made investors friendly. He said that greater stress would be laid on power transmission so that independent power producers does not face any hardship in selling the power. He said that all the genuine demands of the Power Producers would be considered sympathetically by the State Government. Additional Chief Secretary Power Tarun Kapoor said that if the State succeeds to harness 5000 MW in next five year in private sector, the State would be able to attract investment of over Rs 50,000 crore. He said that for this it was essential that the construction time of hydro power projects was reduced drastically. President Bonafide Himachalis Hydro Power Developers Rajesh Sharma said the power producers of the State were committed to make Himachal Pradesh a power state of the country for which active cooperation of the Government was solicited. He said that forest clearance for construction of power projects was biggest bottleneck as the process was very tedious and cumbersome and needed to the simplified. He also urged the Chief Minister for early redressal of their different demands.